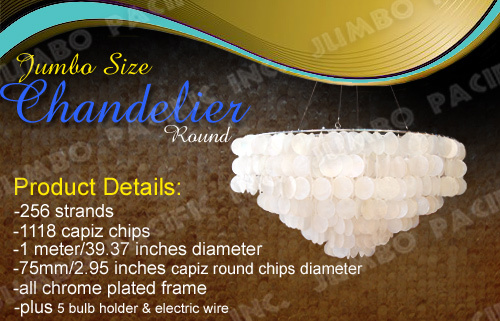 Jumbo big size Capiz Chandelier made of Philippine capiz shell chip components best for your kids room, teenager living room or young children for making there room a wonderful creative customized lighting ceiling decoration. 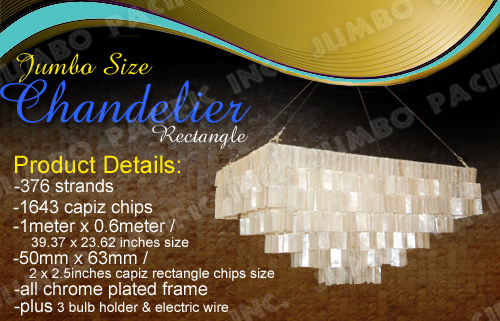 Click here for chandelier in metal frames. | Click here for chandelier in wooden frames.